Could we see an AMD APU inside a fanless notebook? AMD’s historical strength has been its fusion of CPU and graphics, combining its powerful Radeon graphics cores with CPUs that now include the Ryzen generation. So where are AMD’s integrated chips going next? On Monday during the Hot Chips semiconductor conference in Cupertino, California, AMD’s Dan Bouvier, corporate vice president and chief architect of client products, presented a post-mortem on Raven Ridge, the most recent integrated CPU and GPU—what AMD calls an APU. When Bouvier sat down with PCWorld following his talk, we focused on AMD’s next generation of APUs. Interestingly, that’s one product segment we don’t know too much about. At Computex, AMD talked up its second-generation Threadripper 2 parts (which we’ve now reviewed), as well as a process shrink of its Vega GPU. But we don’t know much about what the future holds, beyond the rumors that it might be code-named Picasso, that it will use the same architecture and socket, and bring improved power and performance. Below are four takeaways from our conversation. AMD may have announced Raven Ridge in 2017, but it began shipping in 2018. Expect its next APU to do the same, with an announcement in the fall and shipments beginning in the spring. “I think we are at the last wave of Raven [Ridge] machines rolling out now, and we have started the next wave for next year,” Bouvier said. Bouvier made the point that there’s still some headroom (or in Bouvier’s words, "some juice in the tank") for managing power in the upcoming APU generation. Well out into the future, he said, there was a possibility that the APUs could drop in power, so that the APU would drop to another TDP power tier beneath the discrete Ryzen CPUs. 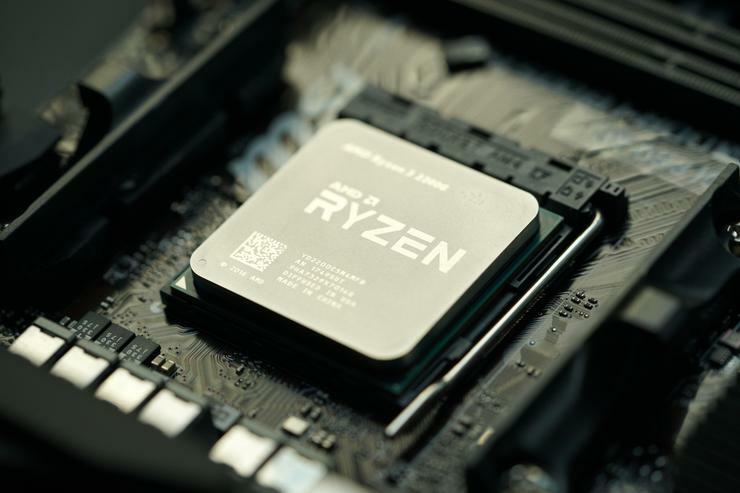 Put another way, a current Ryzen 5 2600 processor consumes 65W—the same as the 2500G APU. It sounds like it’s possible that a next-next-gen APU could shoot for something a bit lower—which could open up the door for a small-form-factor play. “We’ve made some big gains in the current generation, and there’s more to come,” Bouvier said. It’s a topic that Bouvier came back to a few times. Bouvier noted that the impact of power savings by a processor has diminished as other PC components, such as the display and SSD, consume proportionally more power. When asked about the influence of Qualcomm’s Snapdragon on the market, Bouvier contrasted the two companies’ approaches. "How do I preserve this performance, but do it with a lot less energy," Bouvier said. "That’s the thing. They [Qualcomm] haven’t solved the performance problem, they’ve solved the energy problem. We haven’t solved the energy side, but we’ve solved the performance side." Bouvier didn’t say what process technology its next APU would use, unfortunately. (2nd Gen Threadripper 2 will use 14nm, but AMD is already talking about its Vega GPU architecture shipping at 7nm.) But he did hold out hope that 7nm will be the generation where fanless notebooks would finally begin to take off, with processors that consume about 7.5 watts. AMD's next priority appears to be making significant improvements in the virtual memory system. “You’ll see that next,” Bouvier said.